As Cersei Lannister becomes the series' chief villain in Season 7, it's giving Lena Headey one powerhouse of a showcase. Last night’s “Game of Thrones” was supposed to be monumental given that Jon Snow (Kit Harington) and Daenerys Targaryen (Emilia Clarke) were meeting for the first time in the series’ seven seasons. Their scene together was expertly handled, presented for nearly 15 minutes uninterrupted without any music and with each edit heightening the tension of what the outcome might be. It would’ve no doubt been the highlight of the episode if it wasn’t for the 20 minutes of Cersei Lannister that followed. 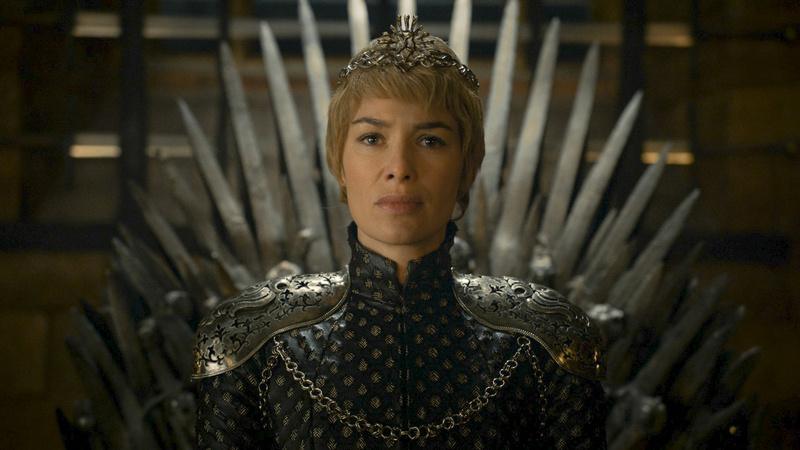 Lena Headey has long been one of the strongest performers on the show, but now that Cersei has emerged as the chief villain of the series (aside from the Night King, of course), she’s simply the strongest. Headey has had several showstoppers over the last six years — Cersei waiting out the Battle of Blackwater with a handy cup of wine; her reaction to Joffrey’s death; her walk of shame — but she’s been firing on all cylinders in Season 7 now that her character is the protector of the Seven Kingdoms. “The Queen’s Justice,” Episode 3 of the current season, proved why Headey is the best real talent in the fictional land of Westeros. The pivotal scene involved Cersei avenging the death of her daughter, Myrcella, by imprisoning Ellaria Sand and poisoning her daughter, Tyene. It ranks among the actress’ best moments on the show. The smartest thing Headey has always done in this role is refuse to play Cersei as the villain of her story, and that’s never been more crucial than in this scene. Motherhood is what Cersei valued most in this world, and it was taken away from her. Headey is not so much leaning into revenge as she speaks to Ellaria as much as she’s working through a twisted catharsis of her character’s grief. Cersei has never really been given a moment to mourn her children on the show. In the first episode of Season 7, she didn’t so much as shed a tear when gazing at the corpse of her young son, Tommen. Cersei is far too smart to allow herself to appear weak in front of her allies or enemies, and that’s what makes her torture of Ellaria Sand so unexpectedly powerful. There’s a moment right before she begins taunting Ellia with the ways she could murder her daughter where Cersei says, “[Myrcella] was mine, and you took her from me. Why did you do that?” Headey asks this question not with an evil smirk, but with a sense of fraught and desperate panic, and it’s perhaps the greatest line reading she’ll ever give on the series. In just 13 words, Headey gives us a very rare look at Cersei at her most vulnerable. We’ve often been told Cersei loves her children, but here we could actually feel what it’s like to adore something so strongly and then have it forcibly ripped away from you. Headey holds this beat for only a couple seconds, but she’s able to coerce the viewer into seeing past Cersei, the mad ruler, and into looking straight at the heart of Cersei, the mourning mother. Gone is Cersei’s usual menace and in its place is a devastating agony. For the first time we can actually feel her pain and her complete inability to move past it. Cersei is wounded, broken, and almost more naked here than when she shed her clothes and walked down the streets of the capital. The more power Cersei gets, the more opportunities the show is giving Headey to absolutely deliver. The actress has long excelled at a kind of thoughtful scene-chewing, but rarely has she been given a chance to bare her character’s soul like how she did in “The Queen’s Justice.” Knowing Cersei acts the way she does out of her material instincts is one thing, but here we got to actually feel it and it rattled our perception of the character. One of the many advantages to long-form storytelling is the depth it allows to be given to each character. 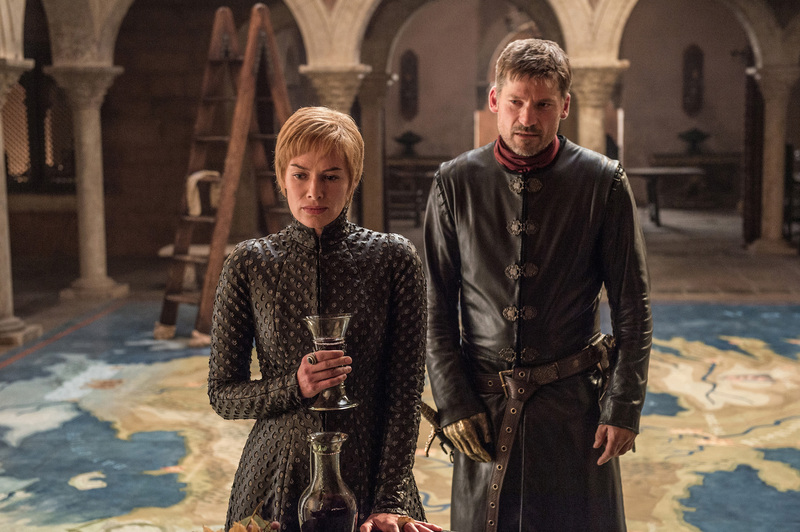 What separates a villain like Cersei from the likes of one-note sociopaths like Ramsay Bolton and Euron Greyjoy is that we actually know where Cersei’s madness and rage come from. The power of Headey’s work across the series has been in how she makes us feel it. The more she’s allowed the chance to show us the broken Cersei, the more we are reminded why this character is the way she is. Here’s hoping we get a lot more moments like this as Season 7 progresses.